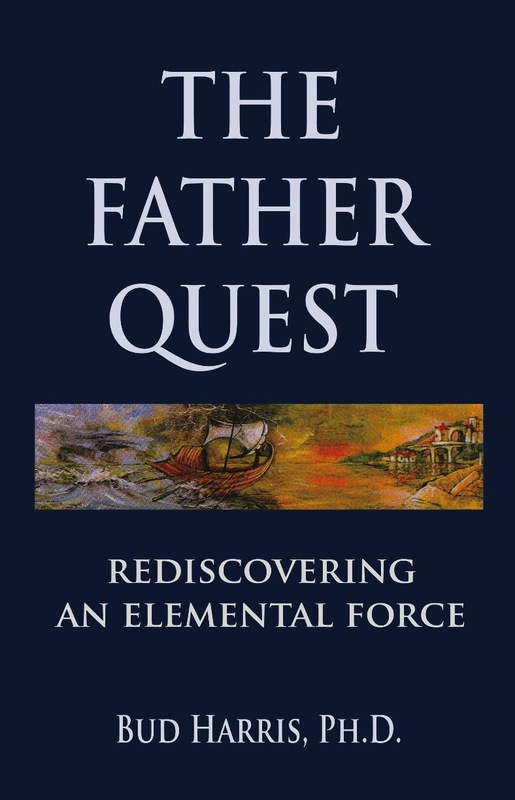 an article by Bud Harris, Ph.D.
As I was reflecting on Fathers' Day this year and developing the material I'm going to use in a Fall lecture and workshop, "The Father Quest: A Guide for Rediscovering and Renewing the Foundations of Fatherhood," I was moved to write the following article. I titled it "The Father Spirit at the Turning Point." Good friends who publish Western North Carolina Woman magazine included it in their June issue; every year their June issue is "Honoring the Y Chromosome." Because of the enthusiastic response to the article, I've decided to share it with you. I hope that you will find it inspiring and enriching. A few mornings after Christmas my wife and I were sitting at the breakfast table with my daughter. While I slowly sipped my tea, she was explaining how the slump in the economy had impacted their holidays. As a family of five with three children, finding their income reduced substantially had ushered in a holiday stress that was new to them. When she finished talking she sighed and added, "I've given up any hope that we can leave our children any better off than we were." I was shocked by the discouragement in her voice. Leaving our children better off than we were when we started adult life has been a major part of the American Dream for as long as I can remember. I don't know how old that part of our dream is but I'm sure my father, who lived through the Great Depression, devoted much of his life to it. For his age-group, being sure your children went to college was considered a guarantee for the chance at a better life. My father's generation came out of the depression, World War II and the atomic age with a colossal yearning to create a healthy, sound world. They wanted their children to have lives that were smooth and prosperous. As we lived into the nineteen fifties our society and our families tried to make problems taboo. We wanted to have certainties. Or, rather, our parents wanted to have them for us even as the world was spiraling into the chaos of the nineteen sixties. I don't blame them for their longings because I know they were born out of the fear and traumas they endured and their desire to create a safer world for themselves and their children. Yet, this longing eventually became the root of their problems as it narrowed their perspective on life and now it has become the root of our problems as we have concretized the symbols of well-being onto financial success and material abundance. I can easily remember that in the nineteen seventies our societal goal was to have more leisure time for our families and recreation. But, as we moved into the recession and energy shortage of the early nineteen eighties our old economic terrors began to re-emerge and we refocused on becoming workaholics; the trend-setting movie of that decade was Wall Street, famous for the speech in it that "greed is good." Instead of being a warning, this movie forecast the future. The fear, anxiety and profound challenges that had caused a generation of men to become our "greatest generation" left them so wounded that they were unable to train and mentor their sons to be capable of meeting new challenges. My father and my coaches and teachers were more concerned that we be able to get "good" jobs than they were with teaching courage and the importance of character. They had lost track of the fact that the world is always spinning into a future of new challenges that we can rarely predict. This kind of a world can only be met effectively when we have learned something about the importance of having character, which includes love, openness, courage, integrity, and the respect for creativity. The dream of our Founding Fathers was to create a country where individuals could experience freedom, dignity, respect, equal protection under the law, the right to a representative government, the right to worship according to our own conscience and the pursuit of happiness. While this vision was imperfectly implemented it was the most profound social vision in history. Let us remember now that the reason we call these men the Founding Fathers is no accident. In archetypal terms it is the positive, inspiring Father Spirit that calls for transformation, a renaissance of the spirit of the times in the culture or in each of us. From the perspective of Jungian psychology it is the positive Father Spirit that has called me to transform myself and grow through and beyond the crises in my life, and it is the positive Father Principle (both coming from the same archetype) that demands I must give a personal response to new life and a protective field for it to grow in. This is an important part of the definition of father love whether it is to mother and child or to the concerns of culture. It is the responsibility of father love to build a place for new life to thrive in. Let us remember also that every archetypal image has a negative, destructive side as well as a positive, nurturing one. There is a negative destructive Father Spirit that we must watch out for. We have seen this image pictured in stories and movies. Darth Vader may be the one that is best known, or the father whose son committed suicide in Dead Poets' Society. Of course, some of us have experienced personifications of the destructive father spirit personally if our father was abusive or supported the Great Santini approach to sports, confrontation or aggression. The negative father spirit is also one that is fearful, afraid of being overwhelmed by life, and is therefore afraid of change, new life, and creative potentials. When we are possessed by this spirit we live in the illusionary hope that the way we did it in the past will be the best way to do it in the future. These descriptions of the negative father spirit remind me of the experiences of an old college friend. We went to Georgia Tech and he majored in industrial engineering. His father owned a plant that produced concrete blocks. My friend looked forward to the day he could join his father and uncles in the family business. After his graduation his father said he wanted to teach him the business from the ground up and he started him at a low-paying, nasty, back-breaking job in the plant. In reality, my friend learned to hate the business and the true nature of his father that he discovered in the process. He realized his father had no respect for his intelligence or achievements in a tough university, and little respect for his desire to be close to him. And he was unable to nurture his son's ability to bring a new spirit of creativity into the business. His father's interest in maintaining his power and superiority was more important to him than his love for his son. When my daughter spoke to me a few days after Christmas, I was too surprised to answer her very well. But after thinking about what she said I realized that we are at a turning point in history. I believe that we can leave our children and our grandchildren better off than when we entered adult life. But I also believe that our quest today is to leave them better off spiritually than we were. We can teach them more about reality than we were taught. We can help them learn while they are still in the safety of our love that life is full of uncertainty and anxiety, faith and nagging doubts, profound emotions, health and sickness, love, despair and grandeur. Our goal should not be to help them search for security but for competence in adult endeavors and for meaning along with the kind of passion that is soul deep rather than settling for the good life based on materialism. We must also teach by example or our efforts will be without substance. If we are going to leave them better off spiritually than we were, we must be living a life supported by a spiritual purpose that is more profound than appearances, the security of fundamentalism, practices that help us avoid looking into our own souls, or the naïve answers of groups immersed in positive thinking. We should be able to show by how we live that we are aware of our ability to confront our deepest fears and hopes, our joys and sorrows, our wounds of love and how we've failed our own ideals at times. And, as our children mature we must be able to share some of what we've learned from these experiences. The new president we've elected symbolizes a turning point. So far, he is facing our many problems with foresight and intelligence. I'm impressed that he doesn't see war as the solution to every problem ranging from cancer to terrorism. It is about time we learned, or relearned the lesson from our Founding Fathers, that masculine strength, wisdom and courage, when used in support of life's greatest principles, can overcome the efforts of mighty empires whose major focus is on power and commerce. Our new president is a symbol of the new potential that has been aroused in our country. But, he is not a savior and he knows it. We must answer our own call to transform our model of living into one that isn't based on the fear of losing our never-ending material growth. The Father Spirit at its best calls us to look for balance and depth, for spiritual growth to balance our material growth and spiritual depth to provide the meaning that can give purpose and support to our lives-because neither the material alone nor the spiritual alone can give us the needed fullness of life. We are also in a dangerous time. When great new potentials are born, the forces of the old order are threatened and fight back. Just as King Herod slaughtered the innocents, all of the new creative potentials he could get his hands on, the voices of conventional wisdom, of fear and the status quo, will fight viciously to retain their power and control. But, this is an era for men to live with new courage, creativity and love-in the support of life. I am looking forward to seeing my grandsons live into this world, and I want to do everything I can to help prepare them for it and it for them. Available from your local bookstore, a host of online booksellers, and directly from Fisher King Press by phoning 1 831-238-7799. Written by Erel Shalit, a noted and extensively published Jungian psychoanalyst practicing in Ra’anana, Israel, Enemy, Cripple, Beggar is a treasure for our times. Vital and applicable to both lay people and experts, the book flows seamlessly and spirally from scholarship, to textual interpretation, to case studies, and the analysis of dreams. Shalit draws on an impressive breadth of scholarship and myths/fairy tales, looking at both history (e.g., the Crusades or Masada) and story. The book first discusses the key aspects of the Hero, considering Byron, the work of Robert Graves and Robert Bosnak, the Bible, and Joseph Campbell’s The Hero with a Thousand Faces, among many other sources. I take as my starting point the condition of mythlessness in the modern world, as expressed by Jung and reinforced by Campbell and how it is limiting our vision and ability to cure an ailing world rife with war and economic/environmental woes. If ever we needed to consider the role of the Hero, it is now. Consider the mistaken mythologizing of the death and wounding, respectively, of Pat Tillman and Jessica Lynch. While both are certainly heroes, the government’s and media’s manipulation of their circumstances (used to try and justify an unjustifiable war) bring to mind David Mamet’s Wag the Dog, the 1997 film adaptation of Larry Beinhart's novel, American Hero. The people love their heroes and their construction for societal consumption by the government and the media has become no less than a High Art. Might this apply to U.S. president-elect Barak Obama? Many people think so, and many more find themselves hoping so. Then again, there are many who see him as the shadow, using the term antichrist, and finding similarities between he and Nicolae Carpathia in the Left Behind series. Consider the current fascination with Superheroes in the age of CGI and comic book cinema. Just last night I watched Christopher Nolan’s record-shattering The Dark Knight, which takes as its thesis the complicated interrelationship of the hero and the shadow. Given the death of Heath Ledger, who played the Joker, the notions of the Hero are expanded to the realm of the Artist and his or her relationship with Pain. When Shalit writes, on p. 95, “…life thrives in the shadow; in our detested weaknesses, complex inferiorities and repressed instincts there is more life and inspiration than in the well-adjusted compliance of the persona,” I think that his words bring Ledger’s death into sharp relief. As an acting teacher who works almost exclusively with teens, many of which see Ledger’s “dying for his art” as a form of heroism (an interpretation with which I disagree; it discounts the necessity of craft in preventing such tragedies), I think it is more important than ever to examine carefully the Hero’s role and relationship to the shadow. The shadow is Jung’s term for the unconscious, the “thing a person has no wish to be” (p. ix). His early experience of his own shadow is, to me, some of the most compelling and useful text in his Memories, Dreams, and Reflections. The hero must go into the shadow (the forest, the depth of the sea, the desert, the cave­—Plato’s or the Celtic Bard’s) to retrieve his soul. The shadow is a place of misery, calling to mind Schopenhauer’s ideas about life being mostly pain and sorrow and Campbell’s advice to “follow your bliss” [sat chit ananda]. Much of what Shalit centers on as aspects of the Hero are present in the shaman, who also has “one foot in divinity, one in the world of mortals” (p. 33). 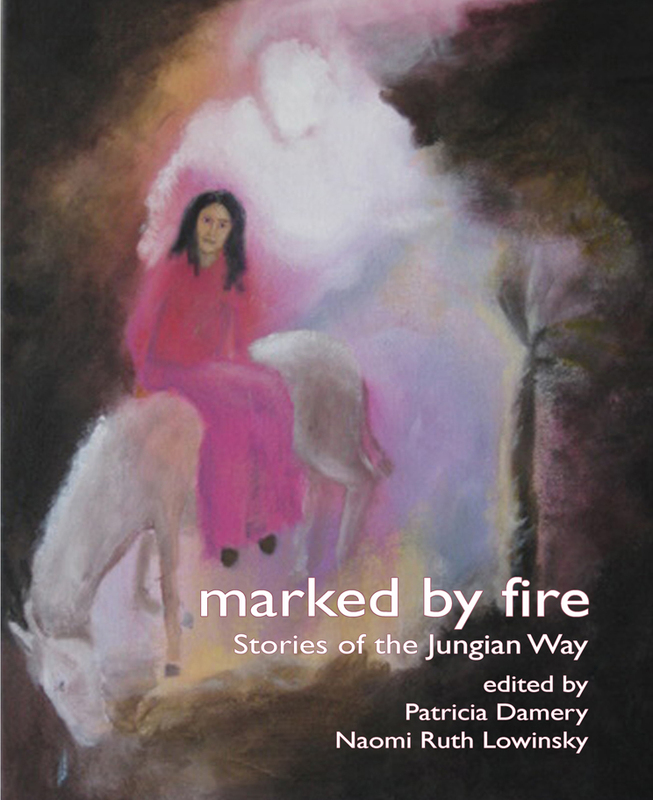 The journey into the netherworld (often to retrieve or heal the soul), the returning with precious gifts of knowledge, the responsibility of re-integration into the community (see Mircea Eliade’s comprehensive works on shamanism), all parallel the hero’s journey. The modes of the vision quest and the alchemical transformation are, further, symbolically manifested in the landscape of the fairy tale. 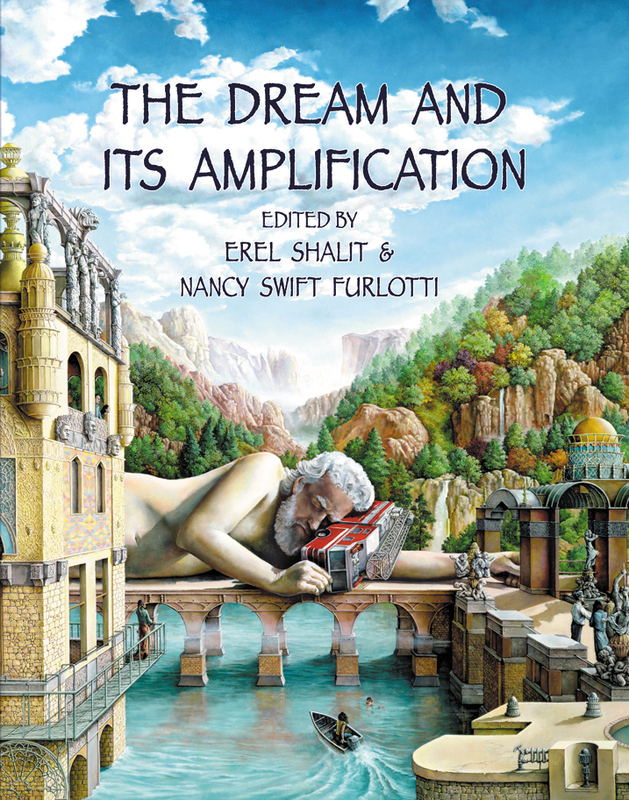 Pursuing this idea, Shalit, in the tradition of Robert Bly’s Iron John or Bruno Bettelheim’s Uses of Enchantment, ably presents and dissects a number of fairy tales, myths, and Biblical stories in the course of the book. “Nixie of the Millpond” is presented without commentary. The myth of Perseus, however, is told with commentary from a wide variety of sources mixed in. It would be valuable to watch Clash of the Titans (1981) after reading this section, as it brings Shalit’s analysis visually to life. Page 47 lists eight traits of the hero myth to guide the interpretation. I would add a ninth—the use of magical items (such as Athena’s shield, Hermes’ sword, and the three gifts of the Stygian nymphs, all of which are given to Perseus to defeat the Medusa). I have used these same basic elements of the hero myth for the past decade in my theatre workshops with youth and in my books on using drama in the classroom. If our youth are to break the limiting conventions of societal and governmental structures that have put the planet and its inhabitants in a place of crisis, they—and those who guide and educate them—must understand the Hero and Shadow both. On p. 65 Shalit writes, “Collective consciousness constitutes a threat by its demand on compliance with rules, roles and regulations.” The mythological fighting of dragons and monsters by the Hero is most clearly articulated to me by Joseph Campbell, when, in various books and interviews, he talked about Nietzsche describing the cycle of life as beginning as a camel loaded down with the requirements of parents and society. The camel then goes into the desert (one of the hero landscapes I mentioned earlier) to become the lion, who must slay the dragon whose scales all say "Thou Shalt." This dragonslaying, certainly a noble and necessary undertaking, situates the Hero as the classic warrior, akin to Michael the Archangel and St. George, but when the fighting is done, the warrior must put down the sword. Whether we speak of the Vulcans comprising the Bush administration (as author James Mann terms them) or an abused child who grows up to wage ongoing battles even on a landscape of peace in a more stable family situation, this is a notion well worth focusing on. I think of the Roman general Cincinnatus, who moved back and forth between sword and plow and the dwarves of the novels of Dan Parkinson, who switch the hammer from one hand to the other as necessary in times of peace and war. The hero struggling with the shadow often projects onto a demonized Other because, as Shalit reminds us, “Since shadows easily lend themselves to projection [see pgs. 97–101 for the three types identified by Jung], they are discovered so much more easily in the other than oneself” (p. 84). This is, of course, the source of most of the ugliness in the history of Humankind. The Biblical explorations/interpretations presented are a high point of the book (see, for example, p. 63 on the Virgin Mary) and begin in earnest with the section on the shadow. The etymology of both biblical and mythological names given throughout add much to the discussion. Shalit uses Oscar Wilde’s “doppelganger novel,” Picture of Dorian Gray, to explore the notion of shadow in terms of our duality, as Dorian is projecting his shadow onto the canvas. Duality—war/peace, animus/anima, masculine/feminine, dark/light—is prevalent throughout the book. The second half of the book deals with the Enemy, Cripple, Beggar of the title. The Enemy (the projection onto the Other that is really the shadow in oneself) is explored through such Biblical figures as Amalek, Samson, Jacob, and the key figures in the trial of Jesus. The section on the Fathers and the Collective Consciousness, dealing with Caiaphas, the Sanhedrin, Barabbas, and Judas, is fascinating reading. The connection of the father and the son resounds on many levels, including the relationship of Jesus/Judas as being nearly inseparable. The Cripple (one’s weaknesses and inner wounds) is explored through mythological/fictional figures such as Hephaestus, Ptah, Oedipus, Quasimodo, and the child in Hans Christian Andersen’s “The Cripple.” There are case studies here that serve many of the same functions as the analyses of the myths and fairy tales, and will appeal to those interested in the dynamics of Jungian analysis. Certain aspects of the second case study reminded me of Don Juan DeMarco (1995), the film starring Marlon Brando and Johnny Depp, especially considering that love (Eros) is the means to heal the Cripple, as articulated so well in this book. The final section deals with the Beggar (the “door that leads to the passageway of the Self,” p. 225), which is the Inner Voice or Daemon. Shalit deals here with the notions of alchemy that so fascinated Jung. I was intrigued by the story of King Solomon as the wandering beggar and Shalit’s exploration of the life of the prophet Elijah. 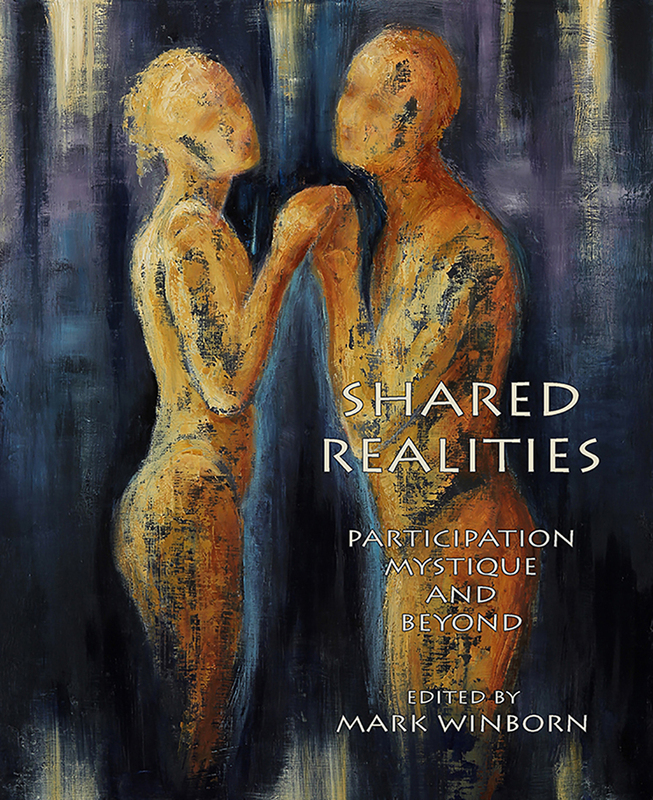 In closing, I want to mention the cover art, a painting titled “Emerging” by Susan Bostrom-Wong, an artist and Jungian analyst. Shalit asks the reader to examine the images embedded in the human figure. It is well worth the time to do so. Like the book itself, the longer you look, the more you will see. I urge educators, artists, and those in search of new paths toward a life well-lived to buy this book. I know that one of my own heroes, Joseph Campbell, certainly would. 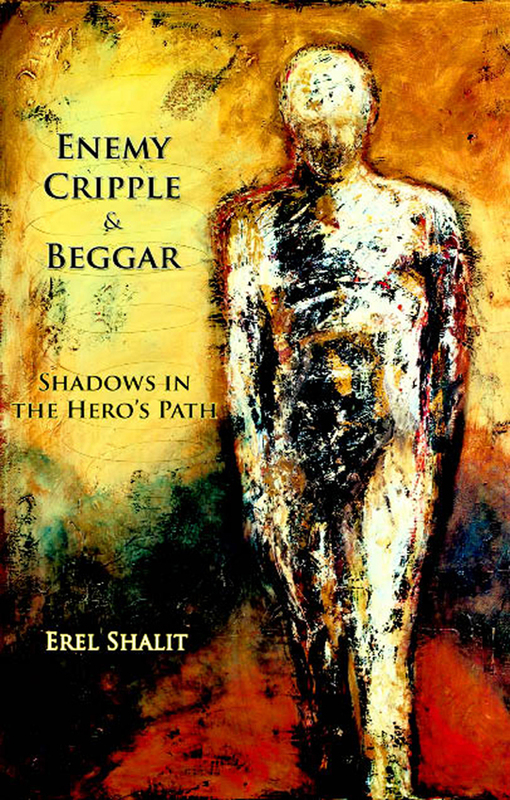 Enemy, Cripple, Beggar: Shadows in the Hero's Path and Erel Shalit's many other publications can be purchased by phoning Fisher King Press +1-831-238-7799 or skype: fisher_king_press. This review of Erel Shalit’s Enemy, Cripple, Beggar: Shadows in the Hero’s Path was written by Joey Madia of New Mystics. New Mystics is an online Arts community founded in 2002 by Joey Madia, playwright, poet, novelist, actor, director, artist, musician, and teacher who promotes the work of a group of cutting edge writers and artists. To learn more about New Mystics, Joey Madia, and his most recent publication Jester-Knight visit www.newmystics.com. Give me that old time religion. It’s good enough for me . . . Or is it? Perhaps that 'Old Time' religion has failed us, or at least the deeper meaning of symbols and metaphors have been lost to misinterpreted literalism and that 'old king,' religious fundamentalism. Blindly following old time beliefs and attitudes in their many forms and guises is following our forefathers right over the cliff and into a vast sea of disillusionment and meaninglessness. Will we repeat this by following along with a host of fundamentalist ideals, the endless pursuit of materialism at the expense of our ecology, and other forms of meaningless neurotic suffering, or we will be moved to willingly and consciously suffer the unknown, until these old time religious symbols become alive within and take on authentic meaning as opposed to being a useless, lifeless, hand-me-down relic? Instead of completely running away from, or blindly following, perhaps we could begin to question these old religions and fundamentalisms, begin to confront and dialogue with these calcified God-Images, and find that lost nugget of gold - the transcendent. After all, like a reoccurring nightmare, these haunting literalized religious concepts and other 'old king' values will not go away until their embedded images are exposed and truly given their due. 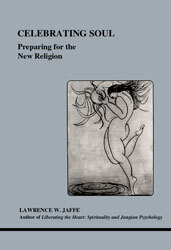 Edward F. Edinger’s Transformation of the God-Image and Lawrence W. Jaffe’s Celebrating Soul are two fine Inner City Book publications that address such concerns. "Whoever knows God has an effect on him." C.G. Jung, Answer to Job. Despite the Biblical imagery, this book is not concerned with traditional religion. Its subject, rather, is psychology, the scientific study of the soul. References are to Job, God and Christ because our deepest feelings still resonate to that imagery. Put another way, the reason for the Biblical references is because "Jungian psychology has the task of introducing to the world a new world view" (Edinger, Aion). The roots of this new world view lie in the Judeo-Christian myth. 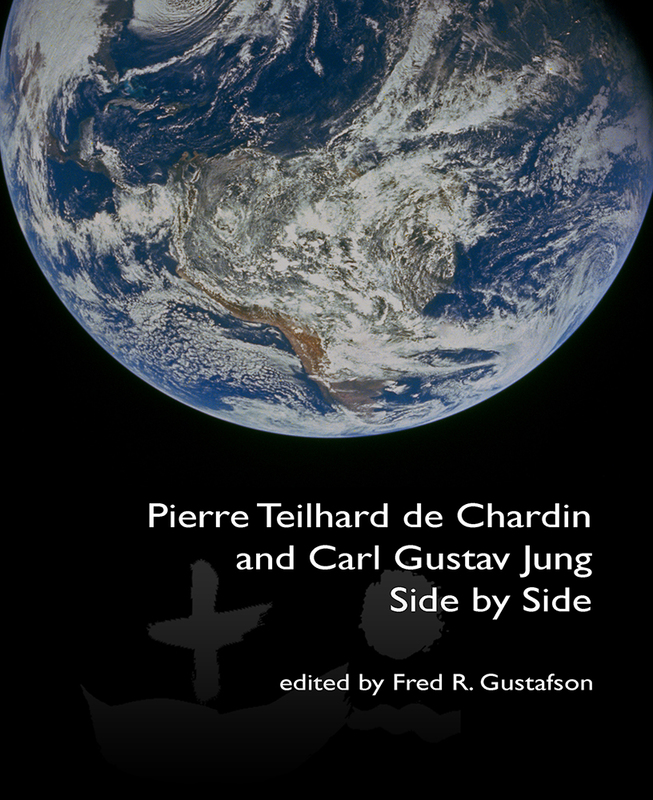 If, as Edinger predicts, Jung's works are one day read as Scripture once was--for sustenance of our souls, for moving words that touch us to the heart, for reassurance, guidance and orientation--Answer to Job will surely occupy a unique place in the Jungian canon. The special status of Answer to Job as the most complete statement of Jung's essential message has long been acknowledged by Jungians, who have discussed it in countless seminars and conferences since its publication in 1952. What has sparked all this interest is that the central theme of Answer to Job--the transformation of God through human consciousness--is the central theme, too, of Jungian psychology. Not long before his death Jung himself affirmed its importance, remarking that he would like to rewrite all of his books except Answer to Job, which he would leave just as it stands. Answer to Job contains the kernel, the essence, of the Jungian myth, and Edinger's study of it, at once erudite and down-to-earth, thoughtful and heartfelt, evokes that essence with unequaled clarity and power. ‘Man has a soul and there is a treasure buried in the field.’ --C.G. Jung. People are beginning to bump up against the limits of materialism and rationalism, realizing that these fail to offer something essential, a purpose in life. Although a few turn back to institutional religion for orientation, many find that road barred to them by their reason and their skepticism. Whatever form the new religion takes it must leave a large place for reason. The new religion will therefore be the product of a marriage between reason and faith, science and religion. We cannot do without meaning in our lives. Meaning cannot be established objectively; it arises only through a relationship with the inner, subjective world. But it is precisely that realm that has been discredited in our day by the misapplication of the scientific spirit. In compensation, this book describes and gives examples of the inner life in order to help the reader sense the reality of the soul. It explores the spiritual significance of Jungian psychology--its message of personal and cultural renewal for a civilization that has lost its sense of purpose. * What Is Our Purpose in Life?